WILLEMSTAD - The organizers of the biggest event on the island are proud to announce that none other than Jason Derulo, Carlos Vives and Sean Paul will come to the Curaçao North Sea Jazz Festival 2018. 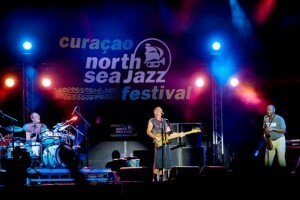 Also confirmed are Spyro Gyra and the Michel Camilo Trio. The organization is still busy with various other artists who will be announced in the course of the coming months. The eighth edition of the festival opens with free concerts at the World Trade Center site on Thursday 30 August. Silvestre Dangond has been confirmed for this opening night. Even before singer, songwriter and dancer Jason Derulo climbed the charts himself, he helped others do so by writing their hit songs. After creating songs for well-known artists such as Lil Wayne, Pitbull, Diddy, and Sean Kingston, Derulo made his breakthrough with his debut single Whatcha Say, which made it to number 1 in the US. Since then, the singer has sold over 50 million singles which have gone over 27-times platinum, as well as exceeding a billion views on YouTube as well as streams on Spotify. Colombian singer, songwriter, and actor Carlos Vives found his fame as a star of Colombian and Puerto Rican telenovelas. In 2001, his album Déjame Entrar won him his first Grammy for Best Traditional Tropical Latin Album. Mixing traditional vallenato with rock elements, Vives keeps on putting out successful albums. In 2017, he released his 15th studio album, Vives, which included the hit single La Bicicleta, featuring Shakira. A his first hit Gimme The Light Sean Paul made his big breakthrough in 2003 with Get Busy. Later on he also stormed the charts with songs such as We Be Burnin’ and Temperature. He collaborated with a variety of artists ranging from Beyoncé (Baby Boy) and Enrique Iglesias (Bailando) to Sia (Cheap Thrills), among many others. These days, Sean Paul is one of the greatest dancehall artists of our time. American jazz fusion band Spyro Gyra made its breakthrough with their second album, 1979’s platinum-selling Morning Dance. It contains two of their best-known songs; the title track and Song For Lorraine. To date, Spyro Gyra have released over 30 albums and sold over 10 million copies, combining R&B and elements of pop and Caribbean music with jazz. Billboard named them the most successful jazz artist of the 1980s. Pianist and composer Michel Camilo, considered by many as an ambassador of latin jazz, has been around for quite some time. In the 1980s, he became a commercial success and at the same time was praised by jazz critics for his virtuoso piano playing. Concerts in prestigious venues soon followed and in 2003 he received a Grammy Award for his album Live At The Blue Note. Colombian singer and instrumentalist Silvestre Dangond has become a star with his updated take on vallenato, a traditional musical style from the Caribbean regions of Colombia. He first teamed up with accordion player Ramón López, and after that, accordionist Juancho de la Espriella, with whom he made seven very successful albums, quickly becoming the nation's top vallenato act. From 2013’s album La 9a Batalla, Dangond went it alone and is still topping the charts as a solo artist. His latest album, Gente Valiente, was released last year.